91 years ago today, on Thursday, February 26, 1920, A. Leonard Rosenberg was born in Tulsa, Oklahoma. After taking the name Tony Randall he would become a star of stage, screen, and television. Most sources give Randall’s birth name as Leonard Rosenberg, but according to the 1937 Tulsa Central High School yearbook, he was known as A. Leonard Rosenberg… and according to other sources, which I cannot confirm, the “A” stood for Arthur. It’s “odd” to think of Tony Randall as a Jew from Oklahoma. He was so closely associated with New York and became the quintessential New Yorker. 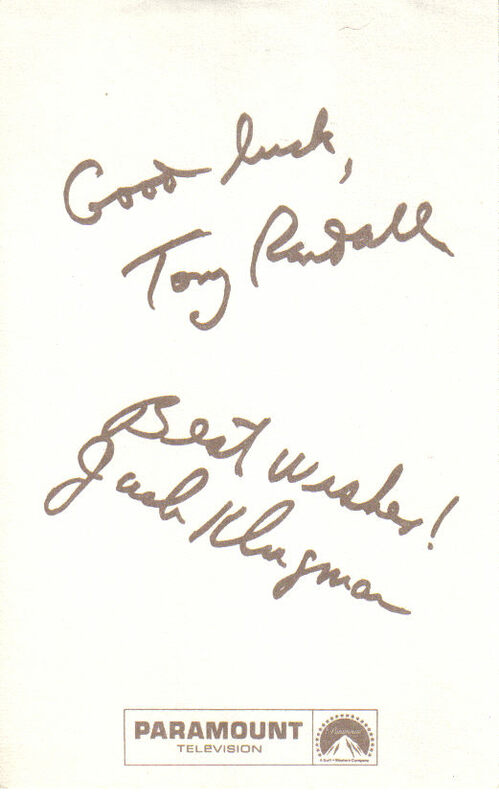 In fact, once when I was about 12, I followed Tony Randall from The Ed Sullivan Theater to The Russian Tea Room. Why? I wanted to see where he was going! 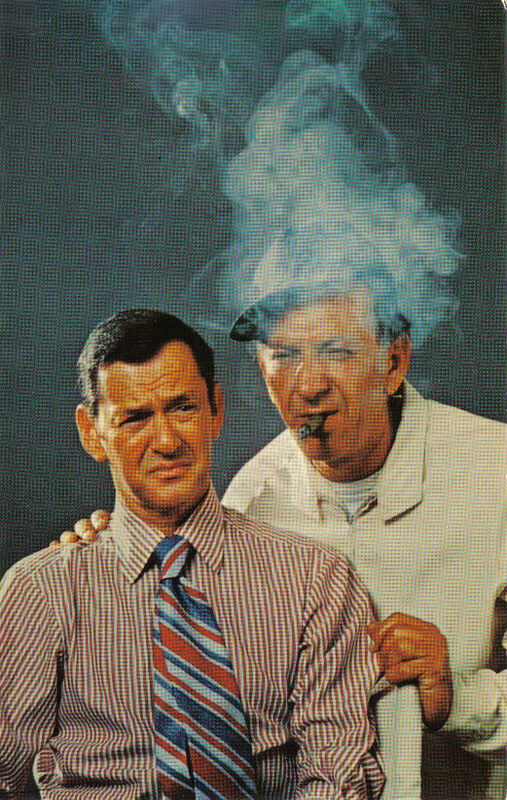 Although “The Odd Couple” ran on the network for 5 seasons, it became an absolute smash in syndication, which elevated Randall and co-star Jack Klugman into beloved members of our own families. Tony Randall died on May 17, 2004 at the age of 84. He was survived by his second wife, Heather Harlan Randall, a daughter, Julia Laurette Randall, now 13-years old, and a son, Jefferson Salvini Randall, now 12.